***PRICE REDUCED*** Motivated Seller. Escape the heat in the cool Tall Pines! This quaint 1 bd, 1 bath Park Model w/ add-on, tip-outs and snow roof comes completely furnished and move-in ready. Seating area on the covered front and back decks. 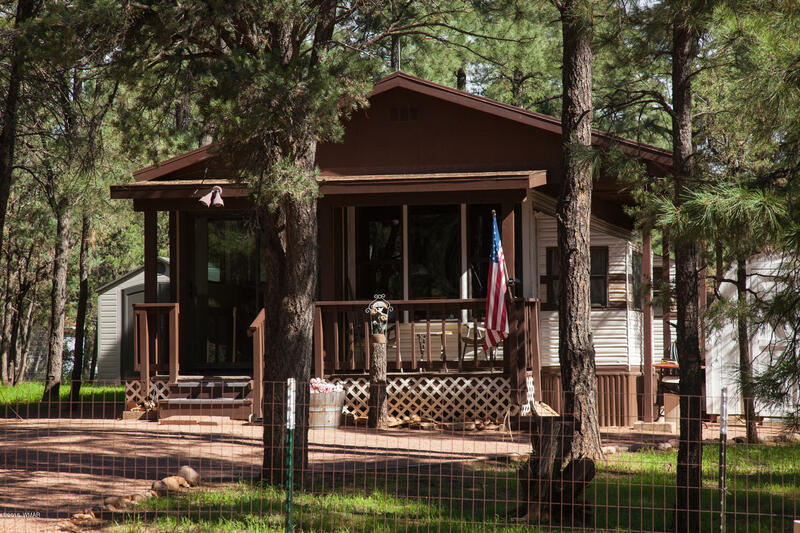 Tall established pines, completely fenced yard and hidden electric fencing to keep pets in. Access double lot from either of the two double gates. Full RV hook-up for family and friends. Recreational toy storage shed and utility shed for yard implements. Make this your weekend getaway, Today!